The challenges faced by Latin American multinational companies, or multilatinas, often require unique strategies tailored to a demanding global environment. 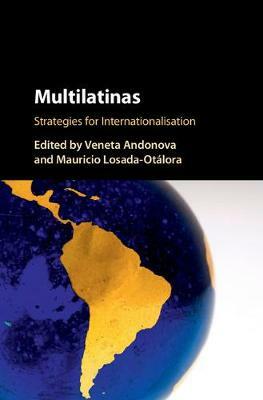 This book studies the strategies of internationalism exercised by large multilatinas, offering the first systematic, quantitative effort to examine the pattern of their international investments within the context of their competitive position in the domestic market. Multilatinas uncovers common strategies among sixty-two multilatinas from six countries, and emphasizes the unique challenges they face, as well as the diversity of their organizational resources. It also brings the institutional environment of Latin American countries to the fore, assessing its role as an essential component in understanding internationalization decisions. Finally, the book studies the role of non-market organizational resources such as bribes, negotiations and favours in business strategies. Multilatinas is an invaluable read for students, scholars, practitioners and executives studying Latin America's place in international business.